For a free and non-binding price estimate, contact our 24/7 customer support assistants at 020 3746 1366 or online here now! We provide the business owners and people situated in Caledonian Road N7 with the top quality deep carpet cleaning in the area. Ashlee House Cleaning has been offering professional dry foam carpet cleaning and steam carpet cleaning for over a decade. All of our cleaners are hand-picked after personal recommendations. They are police background checked, experienced and trained in using our modern professional carpet cleaning equipment, solutions and tools. Our prices are fixed and affordable. We will not charge you extra hidden costs. We can clean any type of rug or carpet, and offer carpet stain and spot removal of various stains, such as: paint, rust, oily stains, blood, wine, tea, coffee, vomit and can repair moth damage on your rug or carpet. We can provide one off or regular cleaning for properties as well. We use the most modern and efficient carpet cleaning methods, suitable and safe for all types of carpet fibres. The experienced and background checked cleaners examine the carpet to determine its particular type and perform tests of all the detergents that will be applied. Then they will proceed with the deep carpet cleaning procedure. After the carpeting is hoovered, the high-traffic areas and stains are pre-treated with suitable solutions. Then dry carpet cleaning or steam carpet cleaning is performed to sanitise the carpet. Steam carpet cleaners use a powerful hot water extraction machine, while dry carpet cleaners use a dry compound for carpets which cannot be washed with water and those made of delicate materials. Both methods that we offer in Caledonian Road N7 are excellent and safe. Residents and business owners in the area often prefer our carpet cleaners Caledonian Road N7 because we are an affordable, reliable and friendly professional cleaning services provider. We have been functioning for over 10 years and Ashlee House Cleaning has established itself as one of the leaders in the local carpet and rug cleaning business. We will get all carpet types cleaned in a timely and safe manner. Our services are fully covered by insurance, and we work with state-of-the-art professional cleaning tools and instruments, as well as non-toxic and eco-friendly detergents. 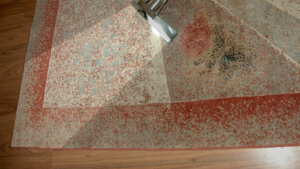 We also offer special fibre protection for your carpets with the help of a stain protection spray, upon request. Our cleaning services can be provided on the same day or on any other day of the year. Because we care for our customers, we have set up a friendly and highly efficient 24/7 customer call centre to process all requests for booking, discounts information and estimates. Just do it and book our carpet cleaning service now - we will help you sanitise, rejuvenate and prolong the life of your rug or carpet! We are the preferred carpet cleaning experts in Caledonian Road N7 mainly because of the quality of our services, our affordable prices and the easy booking procedure. All you need to do is contact the customer support staff at 020 3746 1366 or online via the website. Order our service for any day of the week. We offer convenient bank holiday and weekend cleaning. We can clean on the same day for emergency situations, but you will get a better price for early bookings. Special prices are offered to all our regular clients, as well as to the local landlords and estate agencies. Enjoy our top quality service and excellent prices and discounts and book us now!